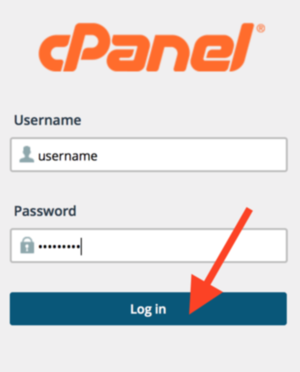 There are two different methods to log into your cPanel control panel in order to manage every aspect of your hosting account, from files to email addresses. These methods are either through your client area (your client credentials will be required) or by visiting the cPanel web address direct (your cPanel credentials will be required). To log into your client area, go to the following - Client Area. You will then be required to enter your login credentials for your account by completing the 'Email Address' and 'Password' sections followed by the 'Login' button. If you have forgotten your password, you can reset this via the 'Forgot Password?' option. Select 'Services' from the top menu followed by 'My Services'. Click on the row for the account you want to log into. 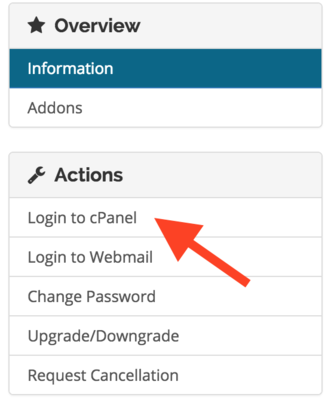 This option will have now logged you automatically into your cPanel section. 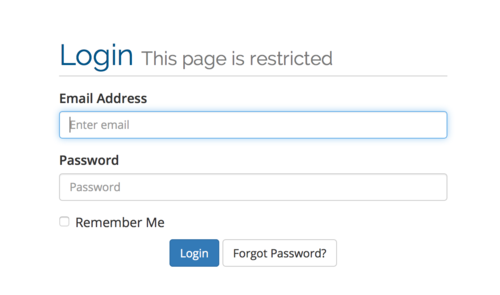 You will then be required to enter your cPanel login credentials by completing the 'Username' and 'Password' sections followed by the 'Log In' button. You will have now logged into your cPanel section.